In this post, we’re going to take a look at 13 pro tips for creating a powerful, conversion focused, email opt-in landing page in WordPress. In addition, I’ll also recommend some useful tools for you to use to create your lead capture page. 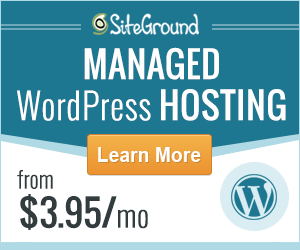 Let me start by saying, I love working with WordPress. To me, it’s the tool of tools for creating websites. You may or may not remember, but way back in the day, getting a professional website set up for your business would cost you a small fortune. And most people back then didn’t really know how to do it themselves. Sure, there were a few mediocre DIY website builder tools around, but we just didn’t have tools or the technology that exists today. 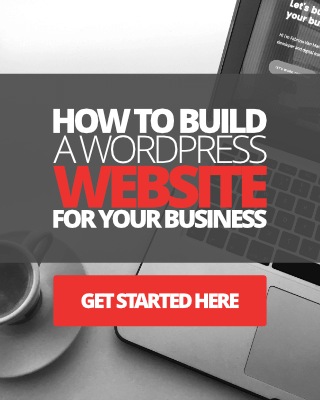 Today, right now, in 2019, almost anyone can build a website themselves using WordPress. When it comes to creating landing pages in WordPress, however, well, it just doesn’t get any easier. We have all these wonderful drag-and-drop, visual page builders, conversion tools, and all the rest of it at our disposal, there’s really no excuse for anyone to not get started. Talking of landing pages, I want to ask you two very important questions, specifically regarding your “email lead capture page”. Do you have one? And if you do, how well is it converting for you right now? 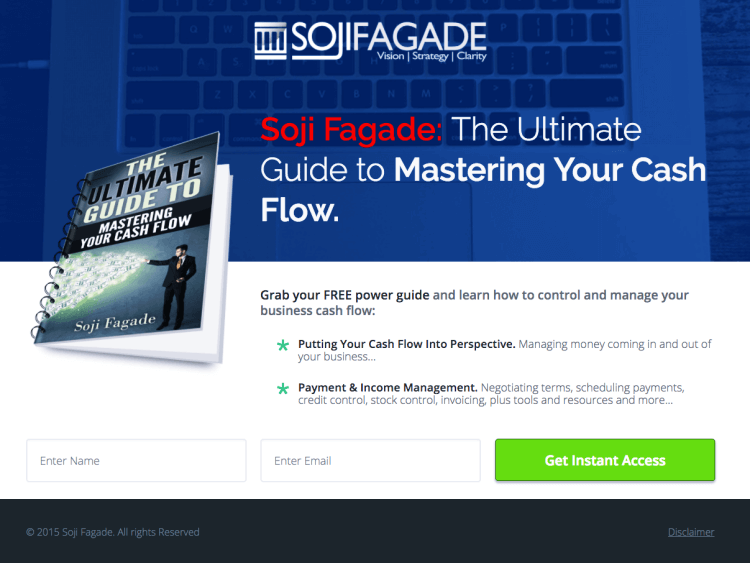 If you don’t have an email opt-in landing page, then why not? Every online business should have in place measures to help them capture MORE email leads. After all, emails leads is what’s going to help you grow and profit from your online business, right? Anyway, whether you do or you don’t have a lead capture page, it really doesn’t matter. 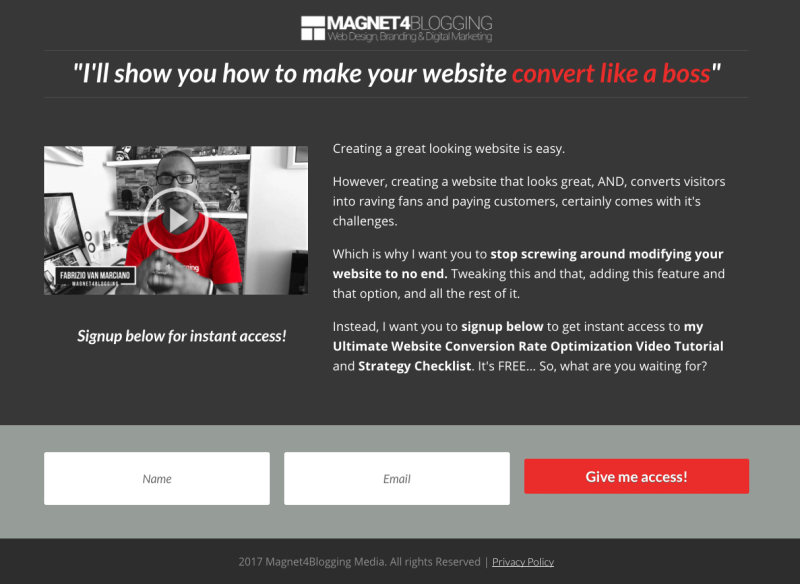 Because in this post, I’m going to share with you 13 amazing tips to help you create the best possible, conversion-focused email opt-in page for your WordPress website. What is an email lead capture page? Really? OK, skip this part if you don’t need to learn what an email lead capture page is. If you’re new to online business and need to learn about it, keep reading. When I talk about “lead capture pages” or email landing pages, or lead generation pages, I’m referring to the dedicated ‘static’ page on your WordPress website. This page will have your email opt-in form embedded in, your marketing message, and copywriting – along with your incentives and call-to-action strategically placed. This is a simple page where you can send your visitors to, so they can learn more about your free incentives, and hopefully signup for them. Here’s an example of a basic static lead capture page I recently created for one of my clients. Here’s my email lead capture page below. Your email landing page doesn’t have to be over glamorous, it just needs to send the right message and be optimized for capturing leads. Here are a couple of things you might want to do before designing your landing page. Your first objective is to do some research (first), especially if you have no idea as to where to start with creating your email opt-in landing page, or how to do it even. Don’t worry, you don’t need to be an expert marketer or a web designer to achieve your email landing page conversion goals. 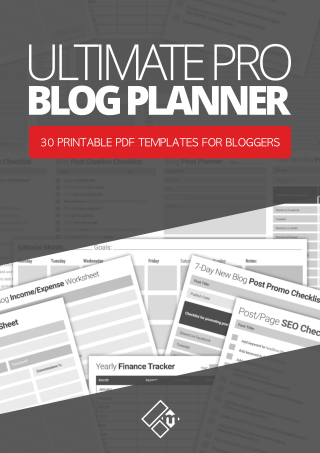 What I recommend you do is take a look at how other bloggers and marketers have their email landing pages set up on the websites. Grab yourself a pen and paper so you can make notes while doing your research. Where have they placed their signup form(s) on their landing page? How and where are they linking to their email page from? I.e. 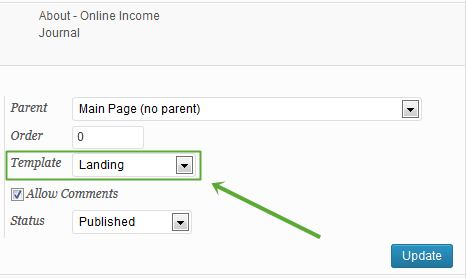 from the navigation menu, sidebar widget, footer section, call-to-action with links placed in-content, etc. How much copy/content do they actually have on their email landing page? How have they organized the content of their landing pages? I.e. are they using short paragraphs, lists, bullet points, quotes, images, headlines, etc. Also, are they using videos on their landing page? Are they using any other type of visual content, i.e. images, infographics? What kind of incentives are they using to attract new leads and how are those incentives aligned with the website’s goals? How fast does the landing page load? Research as much information as you can on what other folks are doing. Don’t copy, though, whatever you do, just research. The idea is to learn and get inspired to come up with your own unique landing page design, content structure, and incentives. If you need help with landing page design, click here. I’m here to help you. Your second objective is to create complete clarity in your mind as to what you want people to do when they arrive on your email landing page. What action do you want folks to take asides from signing up for your email newsletter? If all you want is people to signup for emails then that’s fine, leave it like that. However, you might want to reward your new subscribers with something more than just weekly email updates. Sign up and be redirected to your free amazing ‘one-time’ offer, or incentive download and thank you page. Sign up and be taken to your exclusive members-only content page. Sign up and be given free and exclusive access to your members-only discount page where you have your own products or affiliate offers. Sign up and be redirected to a series of steps where they can benefit from more than once incentive. For example, a free eBook, followed by a free 20-minute video course, followed by a webinar, etc. If you’re using any kind of info-based incentive to entice and reward people to get onto your email list, that’s perfect. Incentives can really help you convert more visitors into subscribers, ultimately helping you to complete your conversion goal more effectively. So – That’s what you need to be clear about from the word go. And, your landing page visitors need to experience the same kind of clarity too. What’s in it for me if I signup today? What am I going to benefit from by signing up, other than to recieve more emails in my inbox? Overdelivering on the ‘value’ goes a long way here. Right, so now that you’ve done your research and you have a clear goal in your mind for your email landing page, you’re ready to make a start. It’s time to start creating your lead capture page in WordPress. Recommended tool: The tool I use and recommend for building beautiful, conversion optimized, email landing pages is called Thrive Architect. 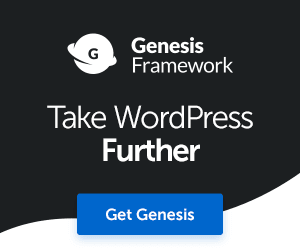 This is a plugin for WordPress and you can learn more about it here. Check out the video tutorial below to see how I use this tool to develop my landing pages. The video is a sales landing page tutorial, however, the same process applies to email signup pages. OK, so finally, here are my 13 top tips to help you design and build a powerful email lead capture page in WordPress. If you’re not too sure what a static page is, it’s simply a page created in WordPress that doesn’t have a time-stamp or any tags or categories allocated to it. Static pages are awesome for creating evergreen content, amongst other things. Pages such as your site’s contact page, about page, services page, product pages, sales pages can all be created using static pages. Keep your landing page permalink (or URL) short, sweet and relevant. Why must you do this? A short URL is easier for people to remember. And if they are able to remember it, they can come back to it later or recommend the link to one of their friends. You should also try and use an action word in your landing page permalink, such as – ‘/signupnow’ or ‘/getonboard’ or ‘/iwantin’. I’m sure you can think of some better ones than those though. When creating a headline for your email lead capture page, make sure it’s relevant, actionable and, of course, compelling. Relevant – Tell people exactly what your landing page is about and what they will get. Compelling – Make a promise that will turn your visitor into a subscriber. Actionable – Tell people to take action, not to delay and signup now. Try and create a sense of urgency. 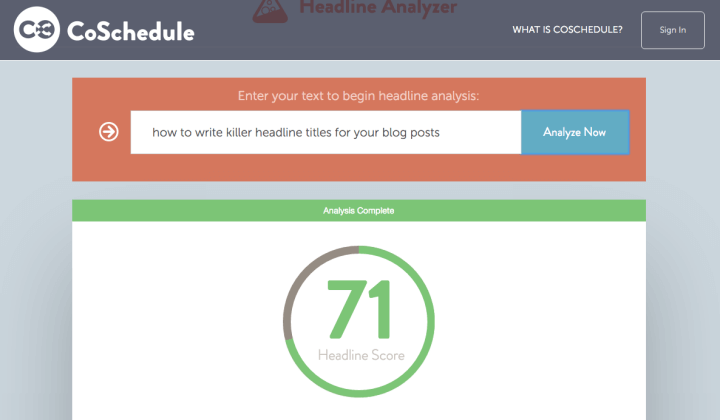 You can use CoSchedule’s headline analyzer tool to create your compelling headline. ‘Signup and get instant access to your FREE website conversion guide today’. You made your headline title stand out, now you’ve got to back it up with some decent landing page copywriting. Provide more information about your irresistible offers and incentives, as well as explain to your potential subscribers what they can expect to get by being a valued subscriber. Tell people how they’ll benefit by receiving your timely email newsletters, and by grabbing your incentives, etc. If you’re unable to write some good landing page copy yourself, consider hiring someone to do it for you. Unbounce has a great collection of articles on landing pages, click here to learn how to write great landing page copy. While it’s essential that you have good copywriting for your email landing page, at the same time, you don’t want to go overboard with the content. Don’t save the best bits for last. Give the best bits right away! Make your content scannable. Use short paragraphs and avoid using too many technical words or phrases. Bullet points can be effective in a way that they help you to organize important pieces of information into digestible chunks. They are perfect for landing pages. In fact, I’m pretty sure that during your research you found quite a few email landing pages that use bullet points. When creating your lead capture page content, use a few bullet points here and there to highlight some of the reasons WHY people should signup. Don’t overload each bullet point with too much info either. And use them in the right places. Check out the following awesome post by Brian Clark on the use of Bullet points. Your opt-in form or signup form should be visible without your visitors having to scroll too far down the page to find it. This will help with improving your conversion rates too because some folks simply don’t need over-convincing to signup, especially if your headline and marketing message is spot on, and your incentives are irresistible. If you decide to have a lot of content and info on your landing page, consider placing your signup form several times on the page, i.e. at the top, one in the middle and perhaps one at the bottom. Again, this goes without saying. Your email landing page visitors shouldn’t be distracted by anything other than your landing page content and opt-in form call-to-action. I would highly recommend removing the sidebar, primary navigation menu links, and footer section from your lead gen pages, those really don’t need to be on there. One easy way to achieve all of the above is by changing the default layout to full-width content for your actual landing page. Or, by changing the default template to ‘landing’. See image below. If you’re using a drag-and-drop page builder tool like Thrive Architect, you can start with a blank page and not have to worry about doing the above. Videos help to add that all-important ‘human element’, helping you to make that positive connection with your visitors and would-be subscribers. Videos can help increase your conversion by 80%. #10. Use high-quality and relevant images and visuals. A picture is worth a thousand words… So, make use of quality and ‘relevant’ images in your lead pages. Even if it’s just a simple image of your free incentive, maybe an eBook cover artwork. You could even add a nice gradient background image into your landing page. Just experiment with a few visual ideas and see what you come up with. Once again, the Thrive Architect plugin can help you design a great looking email landing page with ease, so do check it out if you can. A great way to convince people to signup to your email newsletter and to grab your incentives is by being friendly and approachable. The perfect way to do that online is by showing them your friendly, smiley face. Remember, always be genuine and authentic. Share something that people can relate to, you’d be surprised how throwing in some personality into your landing page copy can do wonders for your conversions. Spam is disgusting stuff, I’m actually talking about the tinned stuff by the way. I have absolute horrid childhood memories of eating spam sandwiches for lunch at school, yuk! Email spam is not much better, I can tell you, so be clear and let your readers know how much you hate Spam too. Since privacy is now a big thing, let your potential subscribers know that you 100% respect their privacy at all times, and give clear instructions on how they can opt-out at any time should they wish to. Chris Ducker keeps things very simple with a clear message about respecting users privacy on his landing page opt-in form. Lastly, no email opt-in landing page can be fully optimized for driving conversions without doing some A/B split testing. Seriously, you can design the best looking, fastest loading lead capture page and still see depressingly low conversion rates. So how can you test your landing pages? 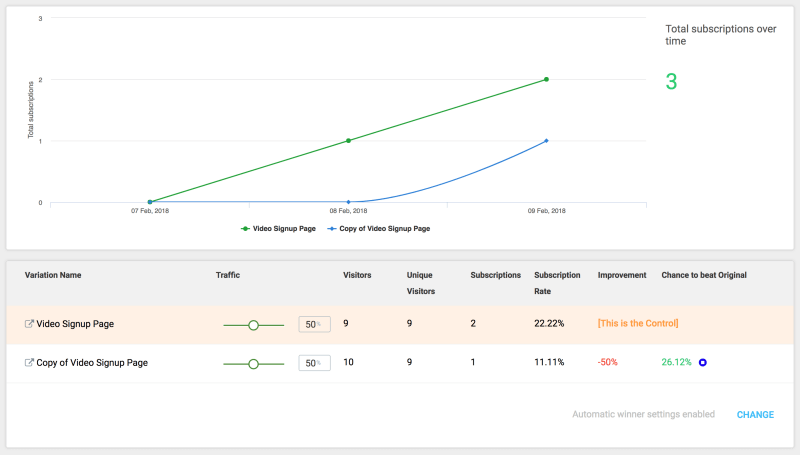 Well, if you’re using the Thrive Architect plugin I mentioned earlier to build your landing page, there’s an add-on plugin called Thrive Optimize which will give you all the tools you’ll need to do simple but effective A/B split testing. So, folks, that’s it. I do hope you’ve enjoyed reading through these pro tips, and more importantly, I hope you’ll take action and put some of them to work. Remember, if you need help with your lead capture page or email opt-in page design and CRO, I’m here to help you. Check out my design services page for more details. Affiliate Disclaimer: This post may contain affiliate links to products or services that I use in my business and therefore recommend. This means if you click on an affiliate link and make a purchase of a product or service mentioned, I may earn a small commission, at no additional cost to you. Read my full diclaimer by clicking the link in the main nav. Relevant, Informative, And Actionable Content. Does Your Company Blog Offer Any Of These? Hi – thanks for info, what optin or email grabber plugin do you recommend for wordpress?